BENGHAZI, Libya, Nov. 21, 2013 /PRNewswire/ -- Basit Igtet, the Founder of the Independent Libya Foundation and a Special Envoy to the Libyan National Transitional Council, has published an ambitious "Plan for Libya" to help the Libyan people rebuild their country. Mr. Igtet, a businessman who describes the current leadership as disconnected from the Libyan people, wants to be an integral part of a new and dynamic Libya. Promote higher standards of education and create a fully functioning healthcare system. The full text of "A Plan for Libya" is available here. Mr. Igtet says: "Little has changed since the revolution. We have a broken central government with high levels of corruption, no transparency, displaced citizens, safety and security concerns, infighting and local militias, poor infrastructure, and very little respect from the international community. Without a functioning economy, we cannot have security. And without security we have no future. My aim is to help the Libyan people build a safe and secure future, which is dependent on establishing a well-functioning government." 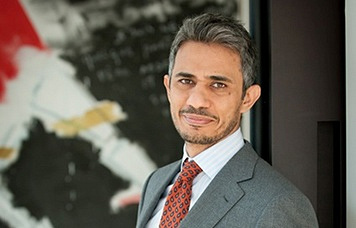 Basit Igtet (43) is a Libyan national. He has business interests in the fields of civil engineering, maritime and aviation design. In 2011, he founded the Independent Libya Foundation to support the rebel movement in Libya and to gain worldwide support for and recognition of the National Transitional Council (NTC) as the sole legitimate governing body in Libya. Later that year, he was appointed Special Envoy to the NTC for humanitarian aid in North and South America.